How Much Compensation Can I Claim for MRSA? Great question and unfortunately still a personal injury claim problem in the world. There are many factors to consider when filing a MRSA claim in terms of how much compensation can be claimed if MRSA is acquired due to the negligence of a hospital environment and the overall outcome. Over the last several years the NHS trust has made over £25 million in claim payments to the sufferers of this superbug. There are three distinct types of legal claims you can be compensated for when a patient contracts MRSA for which are considered civil suits for compensation claims. The first is if a hospital as been negligent and a superbag has been transmitted there as with, care givers, healthcare providers and residential homes. The second is the negligence of treatment for a MRSA infection and the third is a breach of the Control of Substances Hazardous to Health (COSSH). The first step is always deciding how you would like to start your claim if you feel that you have a compensation claim for contracting MRSA, you can either write a letter to the pertinent NHS trust Chief Executive or you can contact a solicitor straight away who will be able to advise you how best to go about making such a compensation claim. Medical Negligence Assist have been helping and supporting victims of medical negligence for years and have the experience to ensure that you get the maximum amount of compensation. We offer a free, legal confidential consultation so that anyone wanting to pursue a claim for medical negligence can have their case weighed up by a a specialist solicitor. The amount of compensation you receive will depend on several factors and our professional and courteous solicitors will guide you through the process and provide you with an estimated value based on these factors. It will depend on how severe your injuries are and if there was any mental anguish involved. If you lost any quality of life or you are unable to carry out your daily duties and any costs you incurred and may incur in the future will also play a role in the amount of compensation you could receive. Our legal connoisseurs at Medical Negligence Assist will also assess costs incurred by family to care for you and establish any needed equipment or modifications to dwellings required and travel costs to receive medical treatment and any loss of wages or earnings due to the injury. Over the past several years MRSA has had a decline worldwide over 50% from 2005 with less than 31,000 severe cases and under 9,000 deaths. According to the CDC, MRSA is still a severe threat to patients and in fact over 30% of people carry the staph bacteria but only 2% of the population carry MRSA but the problem lies with the invisibility of outward signs of being infected. Here at Medical Negligence Assist we follow and stay abreast on all legal proceedings and claims of MRSA infections and negligence cases to give you the best representation and legal competency so that all the processes and procedures are covered allowing you to recuperate as quickly as possible. MRSA is a superbug that has built up resistance to commonly used antibiotics like Methicillin that were once effective in killing staph. These resistant bacteria are called methicillin-resistant staphylococcus aureus or MRSA. The Staph bacteria can cause various and relatively minor infections however this is not a bacteria to be underestimated as it can lead to very serious infections connected with the heart lungs and blod. When outward signs of the bacteria start to be pronounced on the skin the patient will see signs like boils, impetigo, abscesses and wound infections that will not heal with administered antibiotics. Staph can also enter the blood stream causing lung infections, heart valve issues and septicaemia or blood infections. 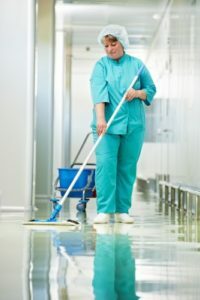 MRSA prevention in hospitals, health care facilities, residential home care and physician offices has been under a microscope for several years as the MRSA claims keep flooding courts and solicitors offices. Cleanliness and meticulous hygiene is of extreme importance and these facilities must keep records, reports, guidelines and documentation of everything that happens within their walls. The failure of staff within these facilities to perform basic prevention measures such as washing hands, sterilising equipment, walls, floors, counters, instruments, and bedding after each and every patient is seen, treated or discharged otherwise they could face serious accusations and claims against them. In the UK alone over 16,500 cases of Staph bloodstream infections saw an increase of 8% over last year during the same time period of August of 2015 to August of 2016. With that being said hospital negligence seems to be on the decline. Only 4% of the bloodstream infections were related to MRSA within a hospital setting and over 60% of the 1,477 MRSA cases reported were due to being contracted outside of a hospital. MRSA is usually contracted by those with compromised immune systems such as those in hospitals, home facilities, clinics and health care provider situations. Those with a compromised immune system could be long term hospital stays, cancer suffers or those who take medications that weaken the immune system, dialysis patients, illegal intravenous drug users and those who have undergone surgery and returned to the hospital within the year. Over 55% of hospital or health care facilities with contracted MRSA cases have been associated with the methicillin resistant strain of staph. MRSA is usually contracted by skin to skin contact where there is an open skin area whether through surgery, burn, needle, or other instruments or foreign body punctures to the skin. The health care facilities have vast numbers of patients along with healthcare workers present and this presents a great opportunity for bacteria to spread rapidly. MRSA bacteria can survive for a long time on surfaces like counters, door handles, floors and objects that can transfer the bacteria amongst several people rapidly. Can a Claim be Made for a Person who Contracts MRSA Through a Hospital? The short answer to this is yes, but it is always strongly advised that you use a solicitor that has years of experience and good outcomes when it comes to dealing with any medical negligence case. Medical negligence is complex to say the least and can be very difficult to comprehend in parts. It is no longer acceptable in the eyes of the courts to simply state that you contracted MRSA through a hospital because of the common knowledge that hospitals cannot always reduce or eliminate MRSA completely. The courts will only look at the MRSA guidelines and policies of the hospital in question regarding risk assessments and precaution taken by the hospital. Our experienced and knowledgeable solicitors will sequester documents from the hospital in terms of their guidelines and policies for prevention and risk factors associated with MRSA to be able to assess your unique case and claims. If they find substantial means for action on your part they will render their claim on the court system that will have final say if you have a potential claim against the hospital. There has to be proof that you contracted MRSA from the hospital or residential home and it must be proven that the treatment you received was negligent in some way. You and your personally selected team of solicitors will have to prove that if the treatment you received had been appropriate you would have not contracted MRSA and the actual infection of MRSA has to have caused you injury or some sort of loss. Choosing whether to contact the hospital complaints system or appointing a solicitor first is entirely up to you, you can always contact us first to receive a free legal consultation so you can be advised on what measures should come first. Our skilled team of solicitors will file your compensation claim under the no win, no fee agreement. You can also ask them for a legal expenses insurance policy to help fund your compensation case. What a no win, no fee arrangement is, is an agreement between you and your solicitor or law firm that if your compensation claim for medical negligence is not heard or they don’t win compensation, they will not charge you a fee for their services. There usually are no up-front costs out of your own pocket and we here at Medical Negligent Assist are happy to work with you and take all the risks and cover all costs associated with legal representation and processing of your claim. If your expert team of highly qualified solicitors do win the compensation case, then most likely there will be a success fee added to the bottom line cost of their representation and legal fees. How the no win, no fee arrangement works is that when inevitably your solicitors from Medical Negligence Assist win your case then you only have to pay your solicitor fees from a percentage of your damages. The agreed upon amount is usually a percentage of your compensation and is directly paid to them right out of the compensation claim payment. The legal document for the arrangement is called a CFA or a Conditional Fee Agreement which is a legally binding, formal written agreement between you and your personal expert team of professional solicitors. When you visit www.medicalnegligenceassist.co.uk, simply fill out the contact form and one of our highly qualified solicitors will get back to you promptly. They will then go through all the documents needed in order to establish your claim. Our solicitors will run your case on a no win, no fee agreement if they are completely certain that they can win your claim case in court. If our expert solicitors take on your claims case they will walk you through the CFA process and keep you informed of the process as it proceeds. When going through the process of your no win, no fee agreement keep in mind that the normal fee if the case is won is around 25% of the compensation. Make sure to read all the fine print and understand fully before signing the legally binding agreement to make sure you know exactly what the fee is and what you are signing up for. There may be other fees and charges associated with your unique case and if you want the legal expenses insurance policy or the after the event insurance, know these come in as an added cost as well. Most personal injury compensation claims have to be filed within 3 years of the injury or loss. Most personal injury compensation claims are paid out of court, meaning that the entities insurance company has no disputes with the claims of liability and severity of the injuries incurred. This is usually done during a meeting of investigative nature where all evidence is taken into account by the insurance company and your unique team of chosen solicitors where they come to an agreement and settle on the amount of compensation that is due. The process of out of court settlements is beneficial in that no court fees are incurred. If your case happens to need a court hearing, our expert solicitors will walk you through the entire court process and procedures to be sure you are prepared. Once your compensation claim has reached agreement you will be given your compensation within 14-28 days. The timeline of payment depends on if you settled out of court or in court. If your personal solicitors settled out of court most likely you will receive payment in the shorter time period, but if you had to go through court proceedings you will most likely be on the longer payment terms of closer to 28 days. Depending on in which country across the UK you suffered the injury the local and national injury levels and law may differ in each location. Within each city of these countries the law should remain pretty consistent. The court where your personal injury claim is heard will depend on which location you file and where your professional solicitors need to bring your case. If you have suffered from a MRSA related negligent case or some other personal injury loss make sure to be within the proposed time frame and visit our experienced claims team. We have the expertise and experience to help you walk through the entire process with ease. Do not try to go it alone and get the compensation you deserve for your injuries. No injury should be caused by negligence in any health care facility or place of work or residence, and if you have been injured, getting our professional and expert solicitors who will back you during your long journey in obtaining injury compensation could mean the difference between suffering for years to come and actually moving on from this tremulous place you find yourself in.